Finnish cinematic metal band DARK SARAH will release its new album, “The Golden Moth”, on September 21 via Inner Wound Recordings. “The Golden Moth” is the last part of the first DARK SARAH trilogy (“The Chronicles”). The trilogy tells about Dark Sarah‘s travel through three worlds: The Middle World (“Behind The Black Veil” album), The Underworld (“The Puzzle” album) and The Upper World (“The Golden Moth” album). 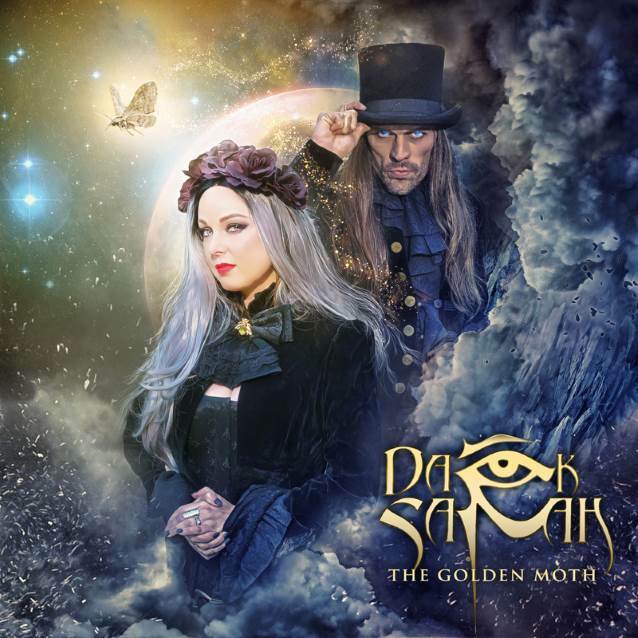 On “The Golden Moth” album, Dark Sarah has to face the final test and find her way to the gods in the Upper World. After she had solved the puzzle in The Underworld and found the three keys, the Iron birds came there for her and took her to the Upper World, a deserted waste land where the gods rule. But also a trespasser, The Dragon, came with her. In the heat of the desert, they meet again and there is something The Dragon wants from her. JP Leppäluoto (CHARON) has joined the official lineup as The Dragon for the upcoming album. Also in the roles of The Gods you will hear artists like Zuberoa Aznarez (DIABULUS IN MUSICA) and Marco Hietala (NIGHTWISH). DARK SARAH is a music project by Finnish metal band AMBERIAN DAWN‘s former vocalist Heidi Parviainen. During the years with AMBERIAN DAWN, she released four studio albums and did several European tours. After parting ways with AMBERIAN DAWN in late 2012, she started to build up her solo career and formed DARK SARAH. The music video for “Trespasser” can be seen below.